Boldo is a small South American evergreen tree that is particularly localized to Chile. The boldo tree is often cultivated as a landscaping plant or garden ornamental, although all parts of the tree (save the roots) have practical use. The flowers are harvested for their pleasant scent and the berry-like, yellow-green fruit is sweet and nutritious. The wood of the tree is used to make charcoal and the bark is used in tanning. The leaves contain a highly aromatic volatile oil reminiscent of menthol. In addition to use in seasoning foods, boldo leaf is used in tea blends and is tinctured. Clicking "learn more" next to each variety will take you to individual product pages for details. Boldo is an evergreen shrub or small tree of the Monimiaceae family. The plant grows to a height of 6 to 20 feet and possesses thick waxy leaves. 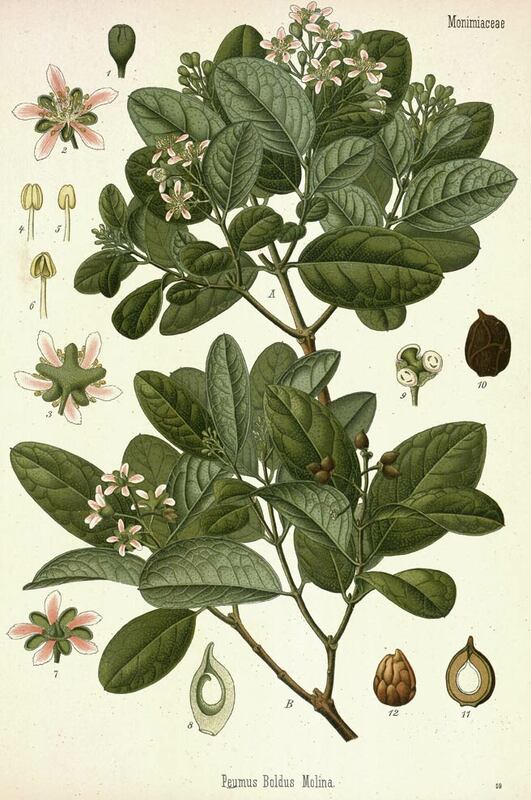 The leaves have strong, woody and slightly bitter flavor and camphor-like aroma. Leaves are opposite, sessile, about 2 inches long entire, and color when dried is reddish-brown, they have a prominent midrib and a number of small glands on their surface. It is in flower from Aug to September. The flowers are dioecious so both male and female plants must be grown in order to product seed. The fruit appear between December and February, and are small yellowish-green spheres. Boldo is from the Mapudungun name foḻo. Mapudungun is a language spoken in south-central Chile and west central Argentina by the Mapuche people. Boldo is found in the Andean regions of Chile and Peru, and also is indigenous to parts of Morocco. It is cultivated in Italy, Brazil, and North Africa. Boldo grows in low to medium altitude, on slopes, timber lines, in interior valleys, or in coastal area or coastal mountains. Typically in humid areas with part to full sun. Boldo can grow in light (sandy) and medium (loamy) soils and prefers well-drained soil, but can grow in either dry or moist soil. Sow seed in spring in a warm greenhouse. Transplant out the seedlings into individual pots when they are large enough to handle and grow them on in the greenhouse for at least the first winter. Plant them outside in early summer and give them some protection from winter cold for at least their first winter or two outdoors. You can also take cuttings of half-ripe wood in July or August. Grow the cuttings in a greenhouse for at least their first winter. Harvest the leaves during the growing season. Leaves may be dried for use in infusions, liquid extracts, tinctures, or as cut leaves in teabags. Store dried, cut leaves in a cool, dry place. Many people suffer with heartburn. There are many reasons for this – diet, stress, poor sleeping patterns, and even disease. But there is relief in sight. And it may surprise you to know that taking care of heartburn problems can affect your life long-term. When you have chronic heartburn, it’s possible that it can turn into a much more serious problem. For example, you can develop esophageal ulcers. These are ulcers that occur in the tube that connects your mouth to your stomach. The esophagus is lined with delicate mucus membrane tissue that can actually be destroyed by the constant exposure to acid. Chronic heartburn can also put you more at risk for cancer. This is because the constant exposure to the acid can cause changes at the cellular level. So, as you can see, heartburn is about more than just discomfort. The people of South America have relied on an herbal remedy for thousands of years to help treat and prevent heartburn. 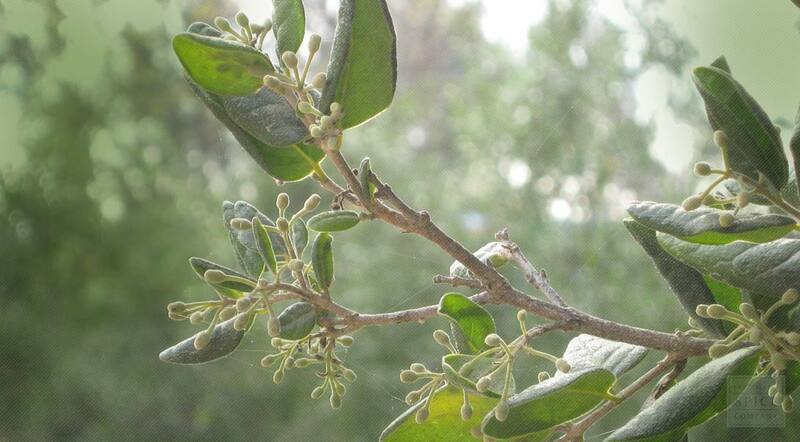 The boldo leaf plant is native to the region and can also be found in the Mediterranean. The people who live in these areas know that if you make a tea from the boldo leaf plant, you can put your heartburn at bay. You’ll need to use about 1 gram of dried boldo leaf in your tea and steep it for about 15 minutes. It will begin to immediately neutralize the acids that are causing your discomfort. In addition, you can drink the tea up to three times a day when you’re having more severe problems. If drinking a tea isn’t your style, you can also take 1 mL of the tincture 3 times a day to get the same effect. You can also use boldo leaf to help keep your gall bladder healthy. Many people have gall bladder problems that result from poor diets that don’t contain enough healthy fats. You can help to support your healthy gall bladder by taking boldo leaf. It actually stimulates the production of bile giving you liver and gall bladder support. Most herbalists recommend that you don’t take boldo leaf every day for a long period of time. Instead, take it when you need it to relieve your symptoms. You may not have heard of boldo leaf before now, but you’ll want to go ahead and get some if you suffer from problems with heartburn or your gal bladder. It’s a natural remedy that can give you the relief you need.